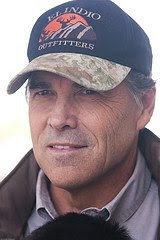 The Walker Report just posted for the 5,500th time since June 16th, 2006! We are struggling to get to the half million hits mark before the 16th of June which is our 3rd anniversary. For some reason our numbers are slowing down. We need 20-thousand hits to hit the mark. Help us by checking us out and soliciting your friends as well! We are almost there. 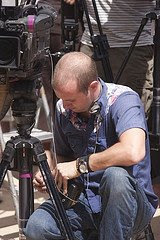 In three years we have covered every type of event and person imaginable since we started. 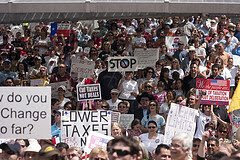 They include: Sports figures, Religion, Community, Media, Neighborhoods, Seven presidential candidates, many Congressmen, Senators, Governors, Mayors, former Presidents, Veterans, Spurs championship, an American Idol, actors, actresses, entertainers, and everyday folk. And of course our favorite subject: Kids of all ages! When you type in someone's name in the upper left hand corner of the blog and click the search button, everytime that person or event was covered, it will come up. For those of you who don't realize it, you can download any photo from the blog for your own. So what is it going to be? Help us get our hit number up so we don't get discouraged and think that our time is coming to an end. Send us your info to promote your event and we will also attempt to cover the event and the person you wish. 39. Get outside every day. Miracles are waiting every where. Councilwoman Lourdes Galvan says, "It's not over yet!" 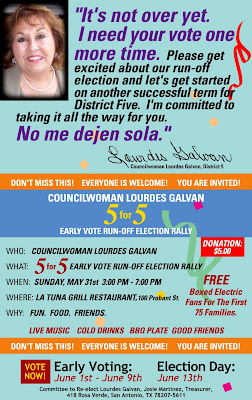 5 for 5 Early vote run-off election rally, Sunday, May 31st from 3-7 p.m. @ La Tuna Grill, 100 Probant Street. Early voting from June 1st-June 9th. Election Day: June 13th from 7 a.m.-7 p.m.
World Refugee Day, June 20th from 9 a.m.-noon @ St. Francis Episcopal Church, 4242, Bluemel Road. Call for more info @ 367-2042. Councilwoman Delicia Herrera's Community Appreciation Dinner @ the Firefighter's Union Hall drew a capacity crowd, Friday, May 29th. Sign up for a Family membership on the May 30th Museum Reach Opening Celebration or the June 7th Family Day: Down by the River and receive $30 off! That's free admission and many more benefits for two adults and all dependents living at home You must sign up at the Museum for this special rate. 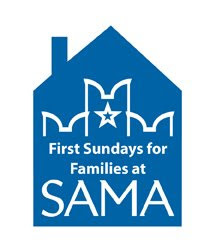 Sunday, June 7th, 12 to 5 p.m.
Children and families are invited to visit SAMA’s newly expanded grounds while enjoying water-inspired art activities, music performances, refreshments, Museum tours and more. This program is co-presented by the San Antonio Museum of Art and the San Antonio River Foundation. UTSA's Summer Law School Preparation Academy welcomes new San Antonio Mayor Julian Castro as one of it’s guest speakers at 10 a.m. Monday, June 1st in the the Buena Vista Building Aula Canaria Room 1.328 at the UTSA Downtown Campus. Please contact Dr. Richard Gambitta at 325-3830 for more details. Ok Friends...I have a favor to ask of you. Doesn't cost you any money$$$$$. 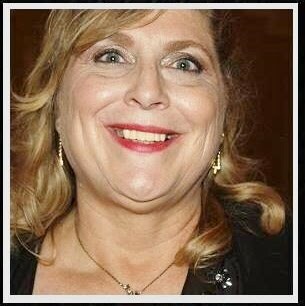 I would appreciate it if you could look below for a site and click on it. My great-nephew is in a photo contest. If you could please vote for Eric Jr. #2, the family would appreciate it. He is a cutie. The contest is over on May 31st. If you can remember and vote everyday, that would be Great! School friends...you will have to vote on your own personal e-mail. 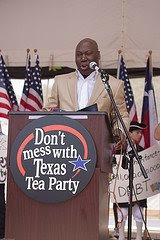 Conservative Bloggers from across the state converged on Austin, Saturday, May 23rd to share strategies. 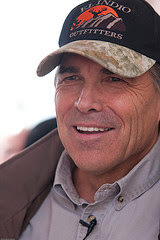 Governor Rick Perry participated in the event. 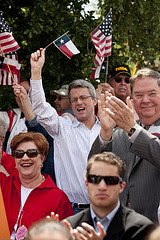 Photos by Chuck Murphy.